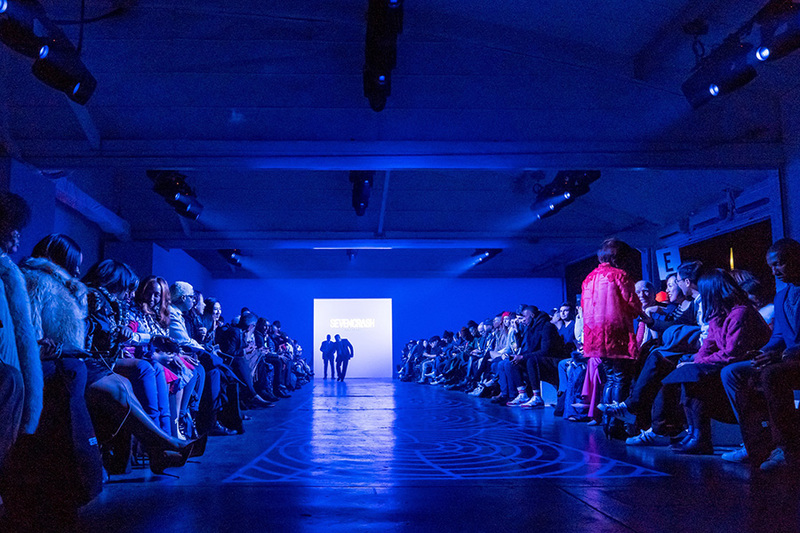 In early February, lighting design firm ENLUMEN utilized 62 Elation Professional Artiste Picasso™ LED profile luminaires for New York Fashion Week: The Shows at Industria Super Studio, owned, operated and produced by IMG in downtown Manhattan. 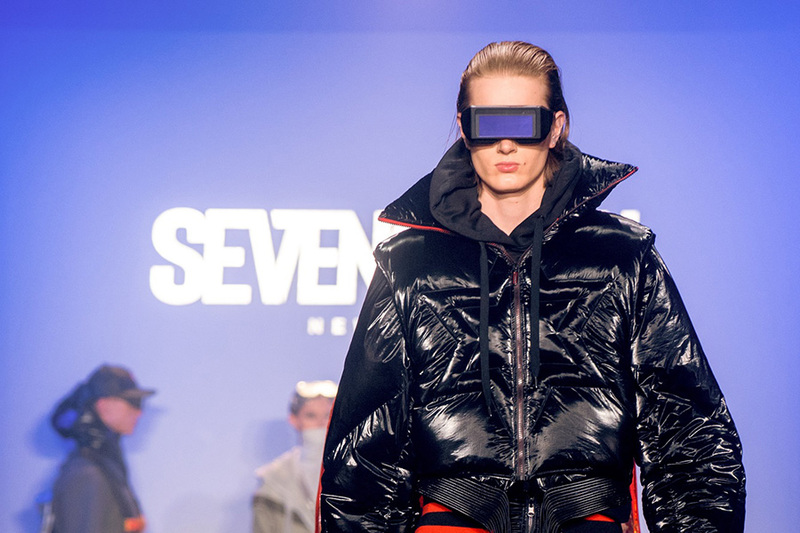 The design team of Pamela Kupper and Shawn Kaufman employed an all Elation rig of LED luminaires supplied by 4Wall to light a total of 16 runway shows and 2 presentations. New York Fashion Week: The Shows is a platform for international designers to show their newest collections and, along with London, Paris and Milan, is one of the four major fashion weeks in the world. ENLUMEN served as the lighting vendor for the location, providing design, equipment and labor. Although this was ENLUMEN’s third season lighting the event, the team has 20 years of experience in TV, event lighting and fashion in the US and internationally. For the third season, IMG decided to upgrade to a moving head rig, allowing for the ability to manipulate color temperature, hues and position more simply, without major complications on camera. The lighting designers changed to an all LED lighting rig, partially for reduced overall power needs but also for a uniform light output and flatter fields than what could be found in arc sources or incandescent fixtures. After doing many shoot outs and tests, they chose the Artiste Picasso – their first time using Elation lighting for fashion. The Artiste Picasso is a multi-functional luminaire whose properties allowed the designers to employ fewer fixtures than past years, a benefit that also resulted in a lower power draw. “For the amount of work that we needed the light to do in the room, we needed something that was exceptionally bright but also low power as power was limited. The Picasso fit in well,” Kupper said. The designers also turned to the Picasso’s visual effect options for specials, including a large number of custom logo projections. The animation wheel was employed to create a fire effect for one show, and the four-blade framing system kept the look clean throughout. As there were both traditional and unconventional runway shows and presentations to light, the fixtures were hung in a number of different positions to cover the room. 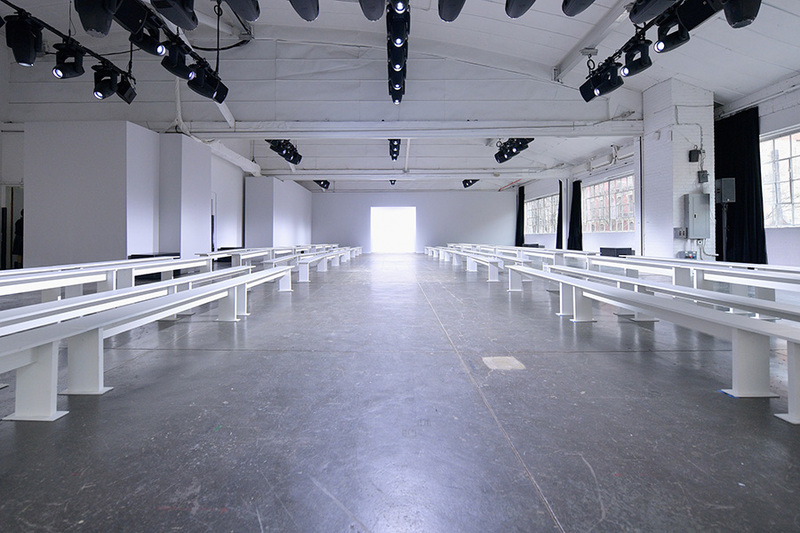 The Artiste Picasso wasn’t the only Elation lighting fixture used on this season’s New York Fashion Week. The designers at ENLUMEN also used TVL CYC RGBW™ wall wash luminaires to light the back wall. The broadcast-optimized luminaire with energy-efficient 150W RGBW COB LED engine provided an even field of seamlessly blended color or variable white color temperature looks. Kupper and Kaufman have provided innovative lighting solutions to clients across a number of disciplines since founding ENLUMEN in 2017. “Ironically, the first time we are using this fixture is for fashion when fashion is just one of the many things we do. We’re excited to put the Artiste Picasso into our arsenal for other projects as it proved so versatile for this one,” Kupper concludes.